Mountains in the Marche region. The Sibillini Mountains are a part of the central Appennines and are situated between eastern Umbria and Marche. They are mostly composed of limestone rocks, formed in the Mesozoic and Cenozoic era on the bottom of an extinct sea. 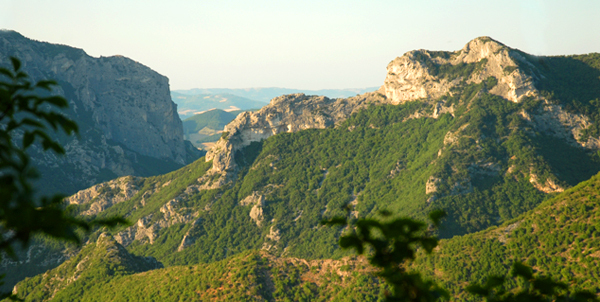 Since 1993 the area has been part of the Sibillini National Park in order to protect the flora, the fauna and the medival villages in the area. There are only 10 peaks that go over 2000 m and are: Mt. 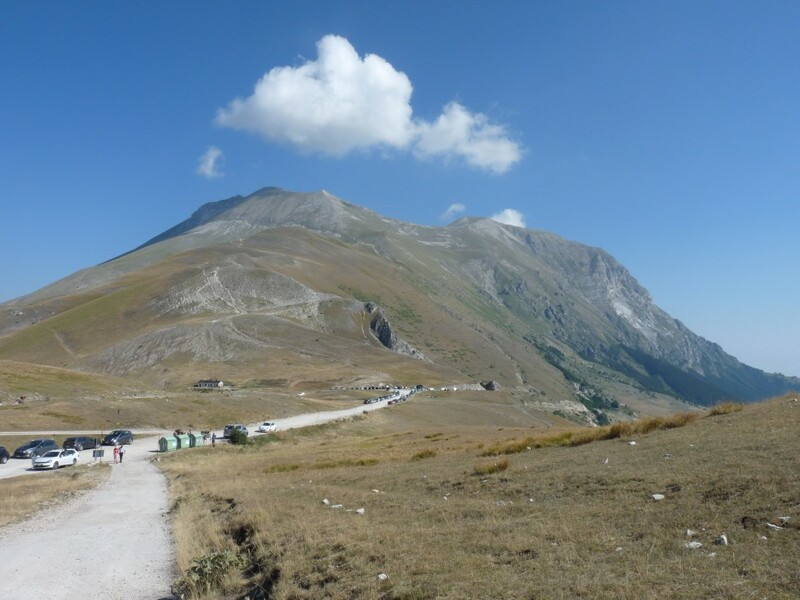 Vettore (2,476m), Mt. Sibilla (2,175m), the peak of the Redentore (2,448m), Mt. Priora (2,332m), Monte Bove and Mt. Argentella (2,200m). There are at least 1,800 floral species, 50 species of mammals and more than 150 bird species. 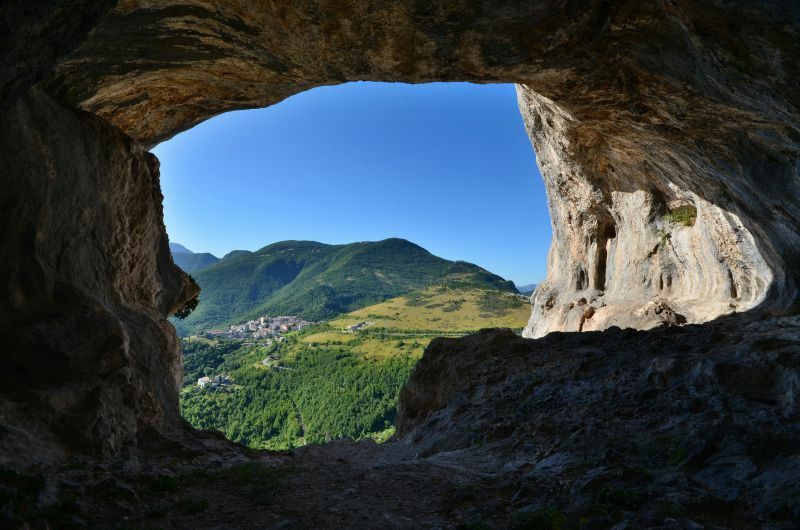 In the Sibillini Mountains people can have hiking or cycling holidays, can do birdwatching, photography, parascending, water rafting and extreme sports. The mountain chain was named after the prophetess Sibyil, who was condemned by God to live in a haunted mountain cave until Judgment's Day, in punishment for her behaviour after hearing the news that Mary had been choosen for Mother of God instead of her. 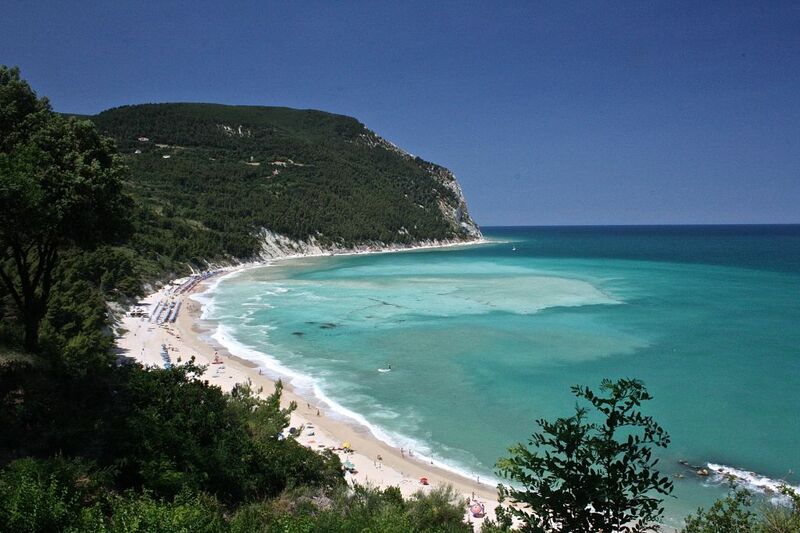 Mount Conero is situated directly south of Ancona, on the Adriatic sea. The name Conero comes from the Greek word "Komaros" that states for strawberry trees, which are very common in the mount. Mount Conero is the only place besides Gargano on the Adriatic coast where the mountain touches the sea. The area has been a state park since 1987 and in the mount people can go for long walks or can choose between 18 pathways, dominated by typical Mediterranean vegetation, inlcuding pines, oaks, broom trees and rare but beautiful lavander fields. Even tought Mount Conero is only 572 m high, it is still considered a mount, due to its majestic form and for its limestone cliffs that drop directly on the coast. Mount Catria is a mountain in the Central Appennines in the province of Pesaro and Urbino. The highest peak is at 1,702 m above sea level. It is mainly composed by limestone created during the Mesozoic area. Before and during Roman times, the mount was considered sacred, a temple where to honor the Roman god Jupiter. Historically the Mount marked the boundary between Exarchate of Ravenna and the Duchy of Spoleto. People can go skiing on a ski resort in the city of Frontone, but can also go cross-country skiing, hiking and snowboarding. The mount has a typical Mediterranean vegetation, including firs, beeches, holm oaks, oaks and juniper trees. Mount Nerone is a mountain in the Central Appennines in the province of Pesaro and Urbino. The highest peak is at 1,525 m above sea level. The mountains in this area have been caught up in a period of compressional tectonics causing folding and distinct high topographic ridges. There are many myths surrounding the name of the mount and probably it is named after the consul Gaius Claudius Nero, who pursued the Gauls up to the mountain's peak, in the battle of Metaurus. People can go hiking, horse riding, cycling, rock climbing, snowboarding and paragliding. The mount has a typical Mediterranean vegetation. Part of the mount is a protected area in order to preserve the fauna. Regional Park "Gola della Rossa e di Frasassi". The area is 10.026 hectares large. In the park people can play different outdoor sports like: hiking, horse riding, canoing and rafting on the Sentino river. In the park, paths have been constructed in order for people to go on long and peaceful walks. One of the most impressive sports is the "highline" which consist of walking, balanced on an elastic band which is situated 10 meters above level ground. Every year, for 4 years now, there is "Festival Frasassi Climbing" which is a festival where people can play outdoor sports around the cliffs of Frasassi. Frasassi is the hometown of the "Grotte di Frasassi" which is the biggest hypogaeum in all Europe.